Following our “retirement move” I can no longer supply these. I hope to find a new supplier soon. Instructions for making your own. These two pictures show where the support should be on the pelvis. 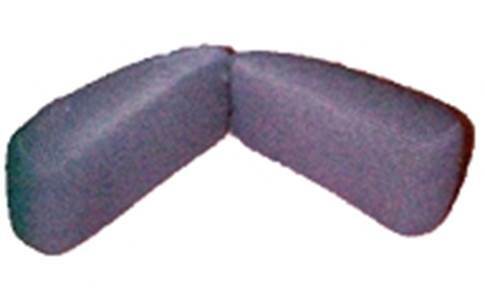 The pad at the top of the seat on one picture is there to ensure that the only other contact with the back rest is at the level of the shoulder blades. (Note the Don’t in Do’s and Dont’s. 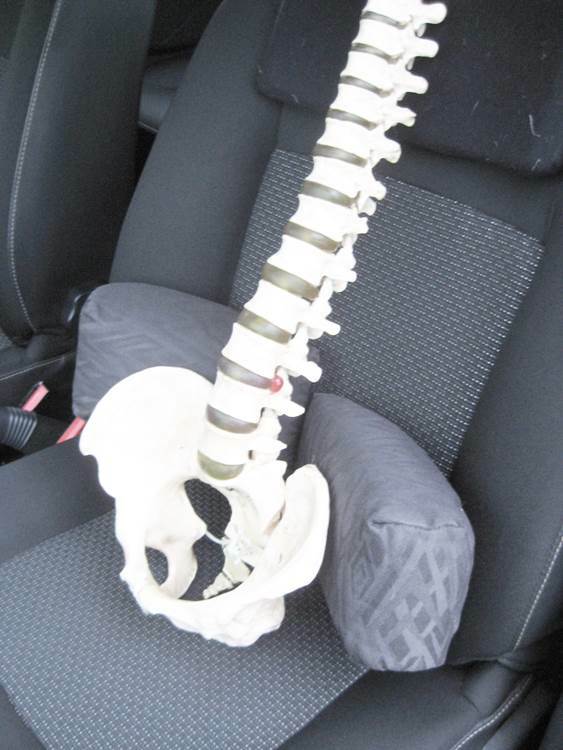 “Never sit with any support for the Lumbar or lower thoracic spine!”) The bumps can of course be moved up or down for comfort in the course of a journey. 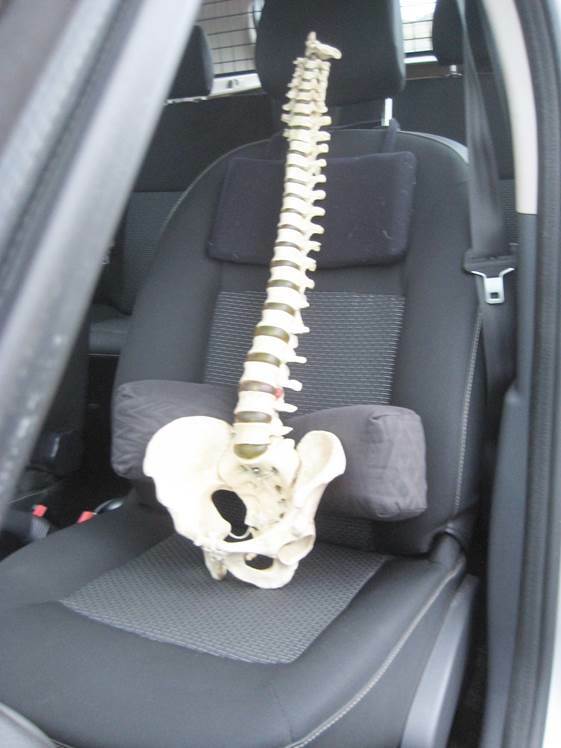 1) Sit your pelvis well back into the seat. 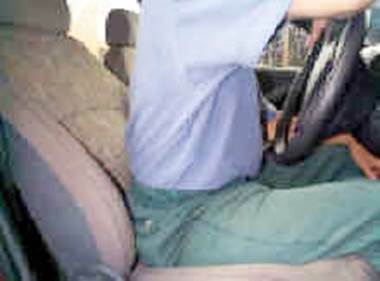 2) Lean forward and push one bump into place just below belt level. Then the other one so that they meet together in the middle as in the picture above. 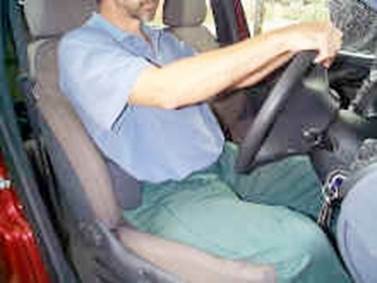 3) Lean back in comfort.